I am back with my 5th entry for the Unboxing from The Butterfly Project's 4th Birthday Celebration. Today I will be giving you a solid reason to buy what-many-would-call-an-expensive-mascara from Dolly Wink. Yes, I know, many of us have seen or merely just browse through the Dolly Wink display shelve but not end up buying it simply because of the price. 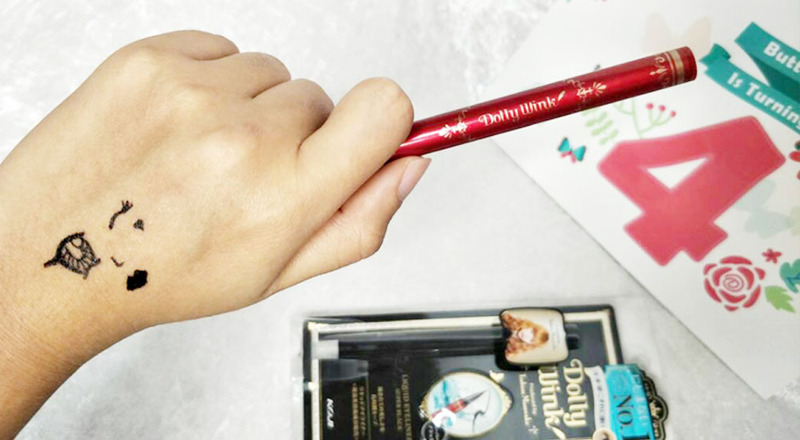 After trying this eyeliner out, I completely understood why it is on the pricier side and why many bloggers actually rave about wanting to own one. Not only is it easy to draw the line...it also stays on till you basically have to rub it off with a cleanser or remover with some force. You see that little wink that I drew on my hand? That drawing was done with the liquid liner and it lasted till I 'forcefully' removed it with my cleanser. And yes...you've guessed it...I got my mami and my sister to attempt to rub the 'anime wink' off my hands but obviously, they couldn't succeed. I really like how I could draw the line close to my lashes and not having to constantly erase and redo it or even to purposely make the line thicker just because I couldn't get the line drawn correctly during the first attempt. It's that easy. This also makes it convenient and easier for me to create the "natural" look without much effort. Again, I did a before and after shot just to prove my point. Now, that you can see the difference, would you give this Dolly Wink Liquid Eyeliner a try? There's a range of pricing for this particular product and you can pretty much find it on different online sellers like 11street, Amazon and Lazada. You can even find it in Watsons stores because if I'm not mistaken I did see it before on the shelves. Let me know what do you think of this eyeliner, is it worth the money or not in the comment box below. I laughed at how you described the thicker line just because we had to cover up. If it's as easy to draw as you described, it is worth the investment. oo!! i need a long lasting non smudging eye liner.. definitely gonna check this out! Seems the face pack is not too good for the skin. Hope end users take note.. 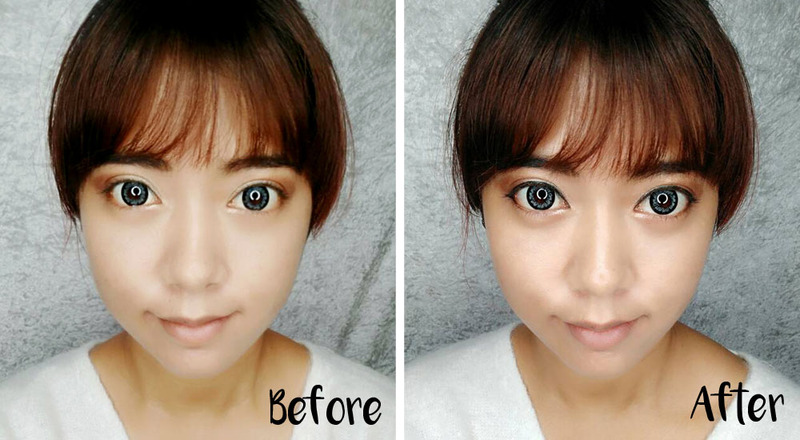 I tried the dolly wink eyeliner before too! It's really very good. Glad that you make this post. Beautiful! good to know of this. I like to use eyeliner too, shall check this out. 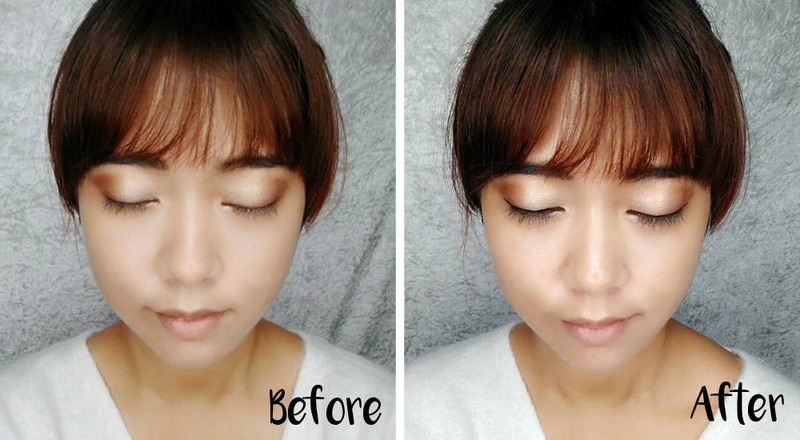 I've been using this eyeliner since it was in Malaysia, very reputable brand!